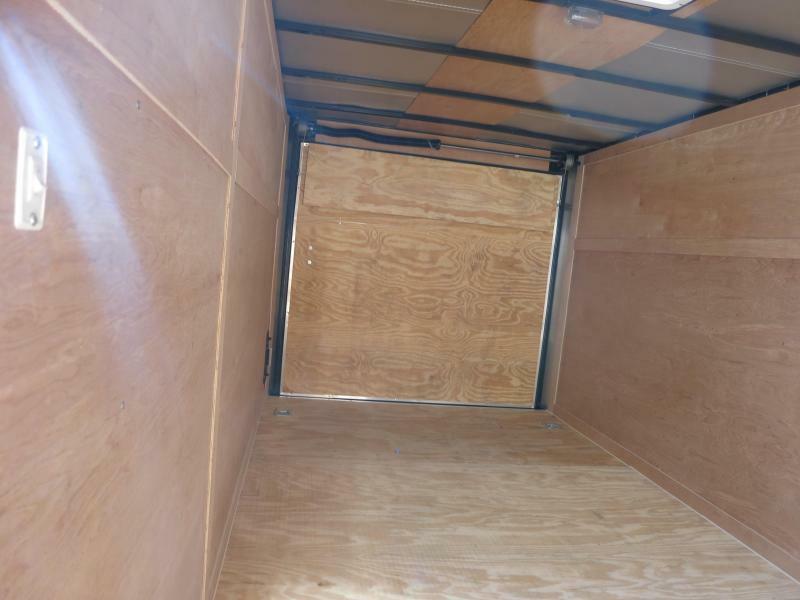 Used Freedom Trailer is 7x16 Tandem Axle trailer has a 32" RV door with flush look, dome light, with switch at side door, Electric brakes, Interior height 6', roof vent, radial tires, dexter axles, flat front, cast corners, polished nose, motorcycle trailer, LED lights, Color matched screws, 16 on center cross members, 3/4 plywood floor, 3/8 plywood wall, stone guard, and rear ramp door. 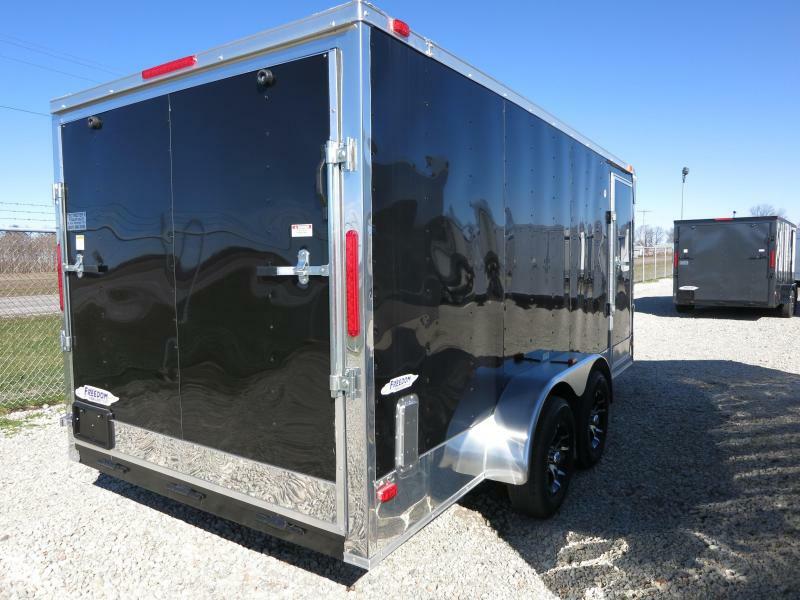 The trailer is black in color with 7,000 GVW. * Wall Studs 24" O.C.